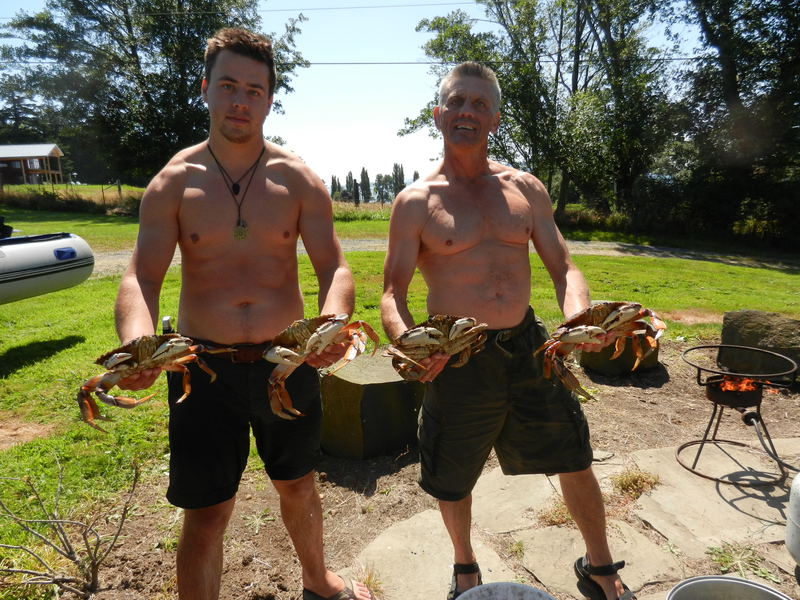 I realize that we are getting very Bubba Gump about our crab this summer. 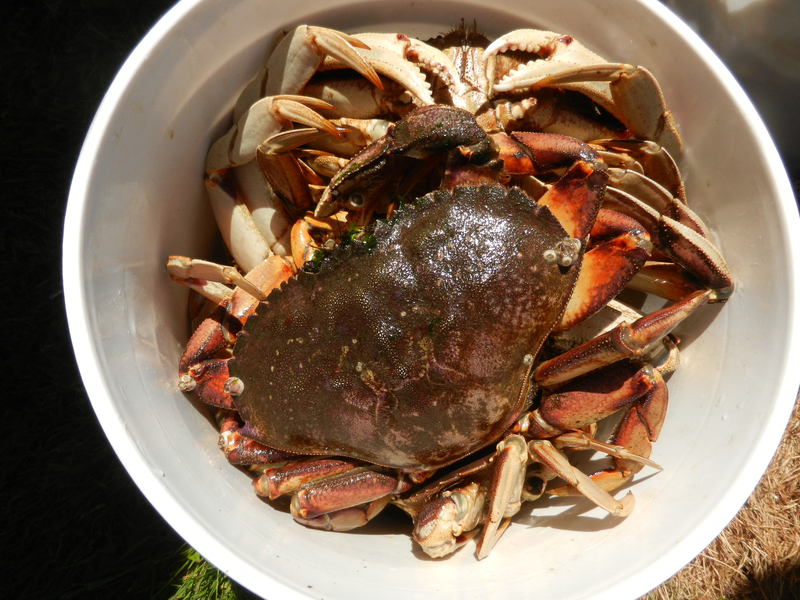 I keep going on about every treatment of crab we have utilized, but one purpose of this this blog, for me, is to document my experiences and cooking so I can retrace them when needed and I need to get this recipe nailed down. We have had a lot of thick crab cakes at restaurants lately, approximately 1 inch, and formed and cooked in a ring so just the flat sides are browned. These are nice, indeed, but with our salads we wanted the crispy crunch of an all-around breading of Panko or bread crumbs. Once again, my husband was the cooking hero, sourcing the recipe and making up spectacular cakes. He would tell you he did nothing, but he has done some outstanding cooking this summer. This recipe is an adaptation of Ruth Reichl’s recipe from her memoir, Comfort Me with Apples. I recommend this book and her first book, Tender at the Bone, if you have loved the influence Ruth Reichl has had in the formation of your cooking. I miss her input. I am linking the recipe from Simply Recipes as there are some useful process photos at this link. A revelation for us was the blog author’s comment about chilling the mixture before cooking. This was definitely successful for us. 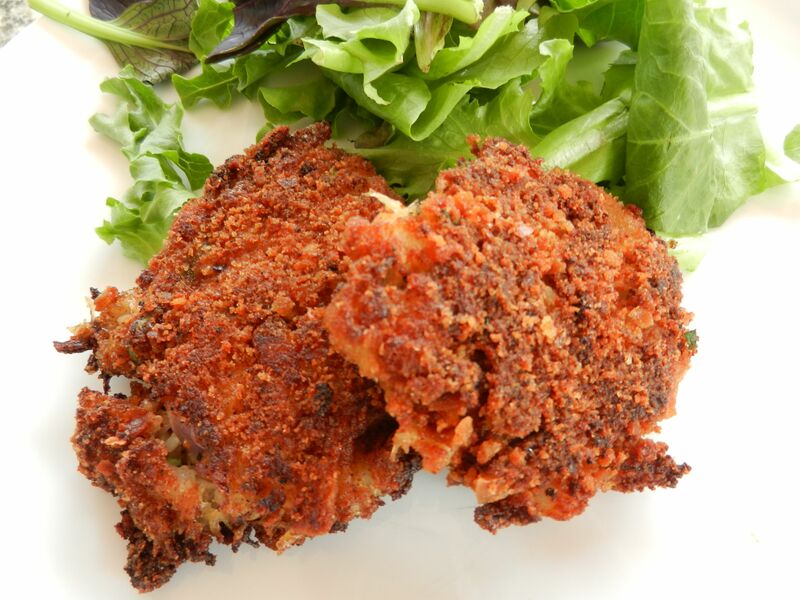 The difficult thing with crab cakes is that they don’t hold together that well when forming them, and they can easily fall apart when frying them. The trick is to handle them delicately to begin with, and then chill them on a breadcrumb-lined pan for at least an hour before cooking them. Just that time in the fridge will go a long way in helping them stay together as they cook. There isn’t a lot of binder in this recipe, so it needs the chilling time. Allan cleaned and froze 10 1/2 lb. bags of lump crab meat for our boys to eat this year. Isn’t he a great dad? Now they can easily find the recipe when they get hungry for their dad’s crab cakes. You mean he’s not bringing those bags of crab back to Tunisia?! Boo! I’m trying to eat as much Dungeness as I possibly can between now and when our flight takes off in the hopes I’ll grow weary of it and not crave it again until next summer. Great tip on the crab cakes!